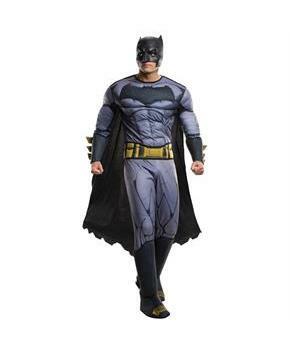 Padded Jumpsuit with 3D Gauntlets and 3D Boot Tops, Belt, Cape, MaskBeing an american cultural icon, Batman gained more popularity through his comic books. Whenever Gotham City needs him, he always come on his favorite Batmobile to save people. Batman is not just a Dark Knight for people as he inspires every kid to fight against evil with great will power. If you have a right costume with you then you will require minimal preparation for a big party. Men loves to experiment with costume look every year. 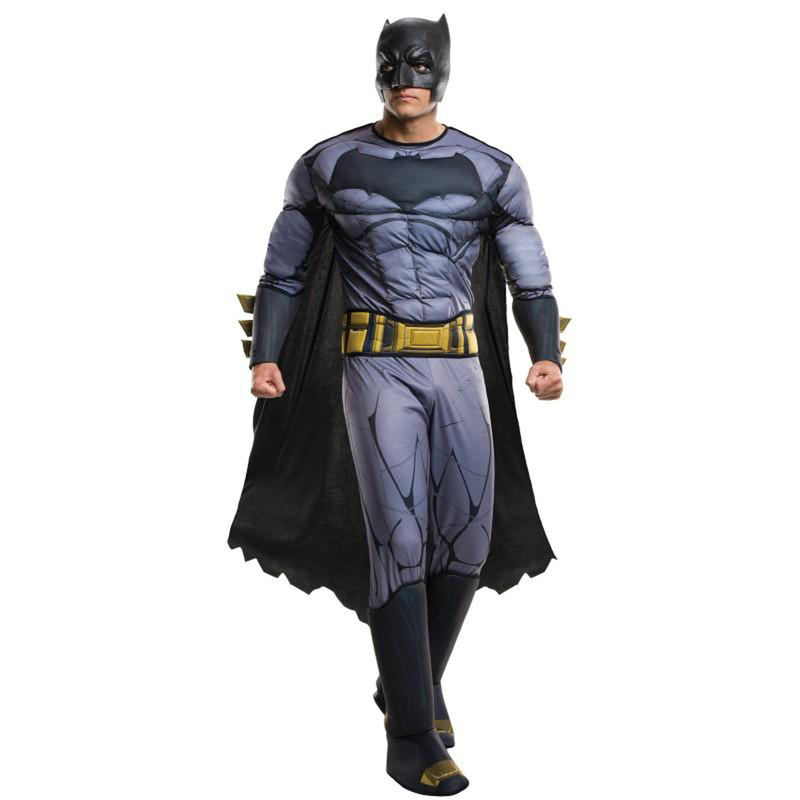 Compliment yourself with a new dramatic look in Batman v Superman: Dawn of Justice - Batman Deluxe Adult Plus costume.